"Glowing Green" 1970, Melting Series, acrylic on paper, 30 x 22 in (76 x 65 cm). 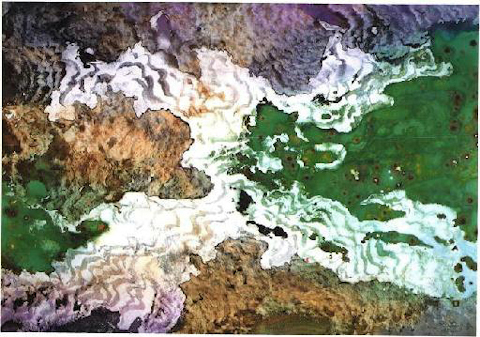 "Spring Melting" 1986, Melting Series, acrylic on paper, 36 x 48 in (91 x 122 cm). "Wax Melting" 1970, Melting Series, acrylic on paper, 24 x 30 in (61 x 76 cm). 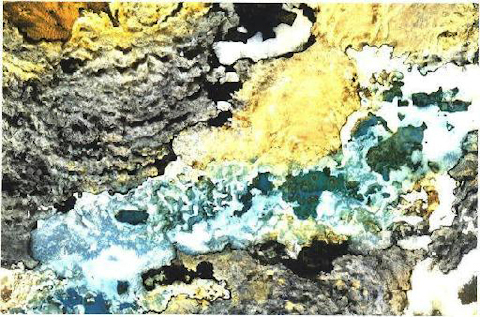 "Ice Melting" 1988, Melting Series, acrylic on paper, 36 x 54 inches (91 x 137 cm). "Spring Ice Melting", Melting Series.